New Delhi: A proposed factory to make components for railway wagons in West Bengal may have to be shifted to a new location on environmental grounds, two officials said. Railway minister Mamata Banerjee had proposed to build a factory at Majerhat on the outskirts of Kolkata. However, this entails the setting up of a foundry to produce metal castings, which is not allowed in heavily populated areas according to an official at the rail ministry who did not wish to be identified. The hitch comes shortly after a committee formed by Banerjee to identify alternative sources of funding for railway projects suggested that several projects, including the one at Majerhat, be bid out quickly. The facility was originally slated to come up on a 30-acre plot beside the Majerhat station and port. Indian Railways is now looking at alternative sites, including land near Haldia port, as well as alternative uses for the land in Majerhat, the official added. 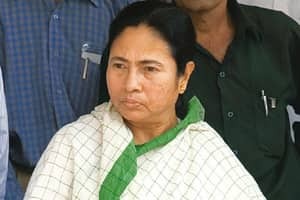 Banerjee had announced the project in her 3 July budget speech as part of an effort to stimulate investment and industrialization in her home state, West Bengal. The expert committee, which was chaired by Amit Mitra, secretary general of industry lobby group Federation of Indian Chambers of Commerce and Industry, suggested that the factories be built in partnership with private firms, with Indian Railways assuring sales for some years. The panel suggested stiff targets, with physical work on the projects to start within 60 days and project execution within a year. It is now considering ways to fund “socially desirable but economically unviable projects" that have received a fillip under the current railway minister, said a second official at the ministry, who too declined to be named. A consultant said the targets recommended by the committee may be unrealistic because of problems that departments and companies face on the ground. “Simple things like getting electricity or water approval takes months on end," said Amrit Pandurangi, who heads the infrastructure practise for audit and consulting firm PricewaterhouseCoopers.